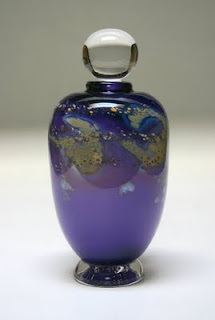 A new urn this week - 10 1/2"H x 5"W in amethyst Earthbound. 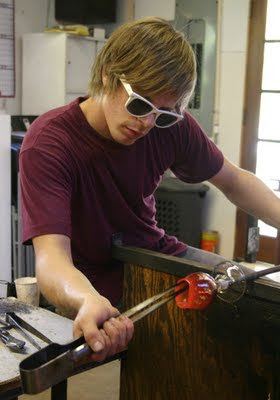 Matt will be making goblets on Saturdays - Here is his first goblet from last Saturday - already sold and living in Phoenix! 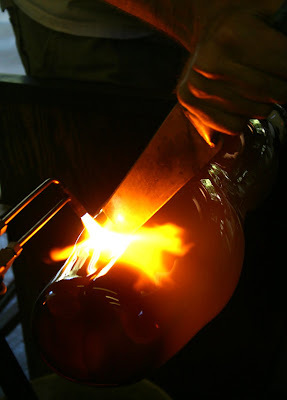 Enjoy watching the incredible skill involved and visit local wineries too! 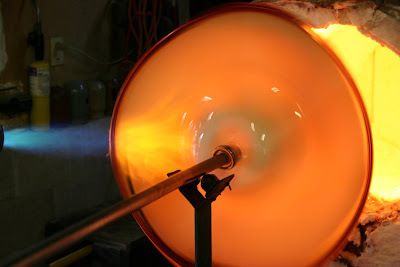 It is amazing to watch the Torso form out of molten glass - Rick and Matt are an incredible team! Two will go to a Spa in Guangzhou, Dongpu, China this week. 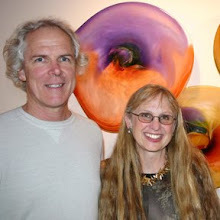 Visit http://www.placerhillswinetour.com/ to discover the local wineries.